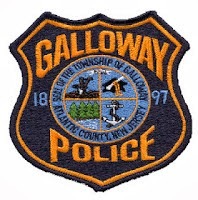 Galloway Township Police responded to 873 calls for service during June 8, 2014 through June 14, 2014. Additional statistics include: 2 Burglaries, 15 Motor Vehicle Accidents, 75 Tickets issued, 2 Driving While Intoxicated, 28 Arrests, 17 Domestic Violence, 17 Fire Calls, 75 EMS Calls and 1 Juvenile calls. Jose S Garcia, 66, of Whiting was arrested by Ofc Ronald Gorneau on June 8 for DWI. Jennifer Rodriguez, 30, of Mullica Twp was charged with Child Neglect on June 9 by Ofc Steve Vernon. Raphy Rodriguez, 30, of Mullica Twp was arrested by Ofc Steve Vernon on June 9 for Theft, Criminal Attempt, Cruelty and Neglect of Children, and Criminal Mischief. Miranda M Rivera, 21, of Galloway was arrested by Ofc Christian Magazzu on June 10 for DWI. Jalil L Richardson, 29, of Pleasantville was arrested by Ofc Kyle Kuhar on June 10 for Possession of less than 50 grams of Marijuana. James Cintron, 30, of Egg Harbor City was arrested by Det Jason Kiamos on June 11 for Possession of CDS, and Manufacturing/Distribution of CDS. James DeBeer, 26, of Ventnor was arrested by Ofc Steve Garrison on June 13 for Burglary, Theft, and Possession of CDS. David B Whealton, 27, of Galloway was arrested by K-9 Ofc Scott Winneberger on June 13 for Possession of CDS. Ruth N Phifer, 23, of Pleasantville was arrested by Ofc Dominic V Fabrizio on June 14 for Possession of less than 50 grams of Marijuana, and Possession of Drug Paraphernalia. A 17 y/o male, of Galloway, was charged with Criminal Mischief on 6/10 by Ofc William Schroer.